Given his invaluable contribution to both the war effort and world of science and technology, it is somewhat staggering to think that this is the first time that the life of British mathematician Alan Turing has been given the big screen treatment. In The Imitation Game, Benedict Cumberbatch stars as Turing as he joins a crack team of logicians in order to crack the German Enigma code and subsequently help the Allies achieve victory during World War II. The Morten Tyldum directed feature also tackles the British authorities' reaction to Turing's homosexuality and his relationship with one-time fiancée Joan Clarke (an impressive Keira Knightley). Turing's first introduction within the world of popular culture came in the form of 1996 television movie Breaking the Code starring Derek Jacobi in the central-role - however, The Imitation Game is undeniably a project on a far larger scale that presents Turing's incomparable contributions to the masses. Given that this is a tale of uncelebrated heroes, social injustice, and features an impeccable performance from rising star of the moment, Benedict Cumberbatch, it would be easy to label The Imitation Game as awards bait - which it is to an extent, yet it still remains immensely powerful and entertaining. Graham Moore's screenplay (adapted by the Andrew Hodges' book) captures Turing as a conflicting figure. On one hand he is an unlikeable academic, socially awkward, and infuriatingly twitchy - yet he is clearly an irrepressible genius, who we ultimately warm to. Cumberbatch anchors the film as Turning, managing to turn this polarising figure into one we begin to engage with thanks to the actor's conviction. However, there are several misguided elements to Moore's screenplay - mostly jarring flashbacks to Turing's boarding school days which feel somewhat out of place next to the war time dynamic of The Imitation Game, adding little essential character development to the proceedings. Tyldum's direction is immersive, tense, and respectfully presents the humanity at the heart of this tale. Given this, we are thrust into the centre of the Enigma team's work as Tyldum takes us on a journey of the ups and downs they face - whether it be continual threats to shut the project down by the increasingly-frustrated British Government or the joy of the group finally cracking their first code. 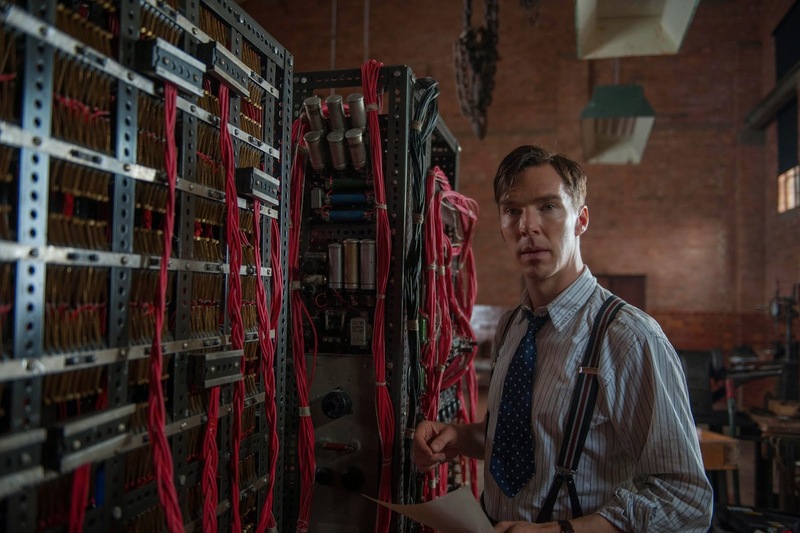 The Imitation Game does not exaggerate Turing's part in the war, showcasing him as a critical force in the Allied victory and the subsequent saviour of millions of lives. This great success achieved by Turing and his team ultimately makes the final moments of the feature so harrowing. Tyldum juxtaposes this success achieved by a Brit with the subsequent injustice he faces at the hands of the Government he saved. Whilst The Imitation Game does not delve too deeply into the treatment of homosexuals at the time, we do see Turing undergoing the chemical castration which caused him to take his life in 1954. This sadly presents the harrowing real life end to one of Britain's most unexpected heroes. Despite its lack of surprises and character depth, The Imitation Game is an undeniably pleasing biopic. Consistently tense and engaging, impressively performed by Cumberbatch, and ultimately devastatingly sad, Turing's story is one that deserved to be told. This is a hero that should be celebrated.